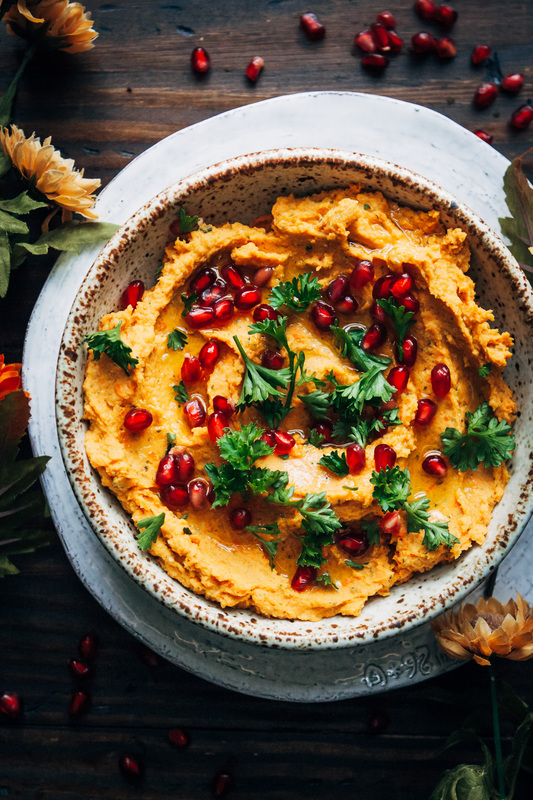 This vegan holiday hummus is the perfect appetizer for your Thanksgiving or Christmas party – it’s a dip all the guests will love! First of all, credit where credit is due – I got the visual inspiration for this hummus from my friend Laura of The First Mess with her carrot harissa dip. I loved the look of the vibrant colors and wanted to recreate a similar photo in my own style. However, while the recipes are both delicious, they are very different! This vegan holiday herb hummus combines some of my favorite Thanksgiving/Christmas flavors – rosemary, garlic, and parsley. Roasting the carrots makes the perfect combination of sweet and savory, and I love how they taste in a hummus. My family always has some sort of dip for our holiday parties. It’s mostly because we’re obsessed with chips. I joke with my dad that four generations of us love chips – my granny, my dad, me, and my dog Ivy! ;) (Chips are Ivy’s favorite snack, just like her mommy.) When I was growing up, my dad and I used to hide our chip caches away from each other, because we knew the other would come asking for some! My dad stored his chips away in the cabinet above the refrigerator, far above my childhood reach. Funnily enough, nobody ever stopped storing the chips up there, so even now that I’m grown up and tall, we still keep them in that cabinet!! Can I just talk about chips for a second? They’re the best. I love them all – tortilla chips, sweet potato chips, potato chips, beet chips – they’re all SO delicious. I’ve kind of realized at this point that my blog has a shocking lack of my favorite food. You’d never know it from the recipes I post here, but I eat at least one serving of chips per day. I love snacking!! 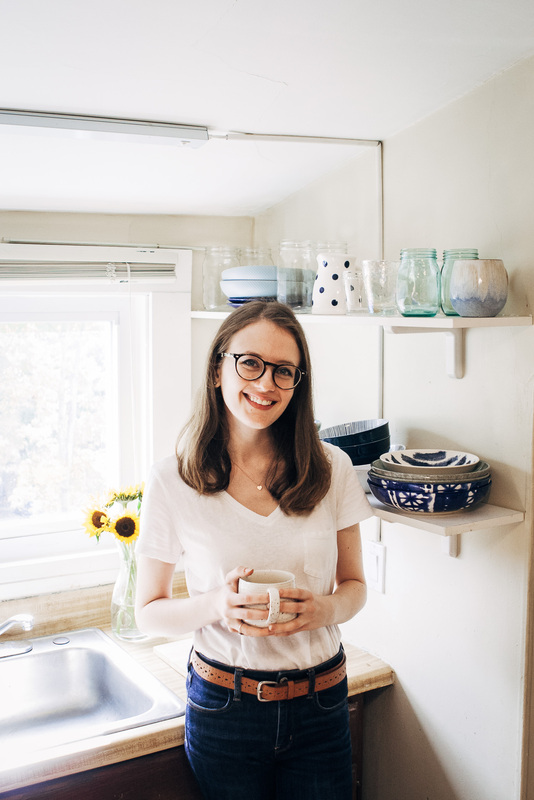 Maybe it’s time I posted some snack recipes, don’t you think? ;) Cheers! 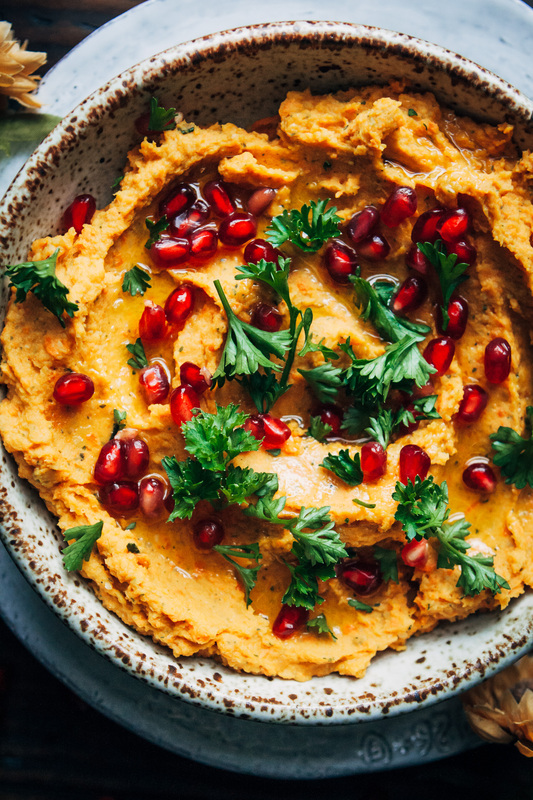 This vegan holiday hummus is the perfect appetizer for your Thanksgiving or Christmas party - it's a dip all the guests will love! Prep your carrots - wash them, peel them, and cut them into 1-inch size chunks. Toss with a tiny bit of vegetable oil, and bake carrots in the oven for about 15-20 minutes, or until tender when pierced with a fork. When done, remove from oven and let cool. Bring a small pan to medium heat with a little bit of a neutral vegetable oil. Add in the minced garlic, dried parsley, and fresh rosemary, and sauté for about 1 minute. Make sure the garlic doesn't brown! 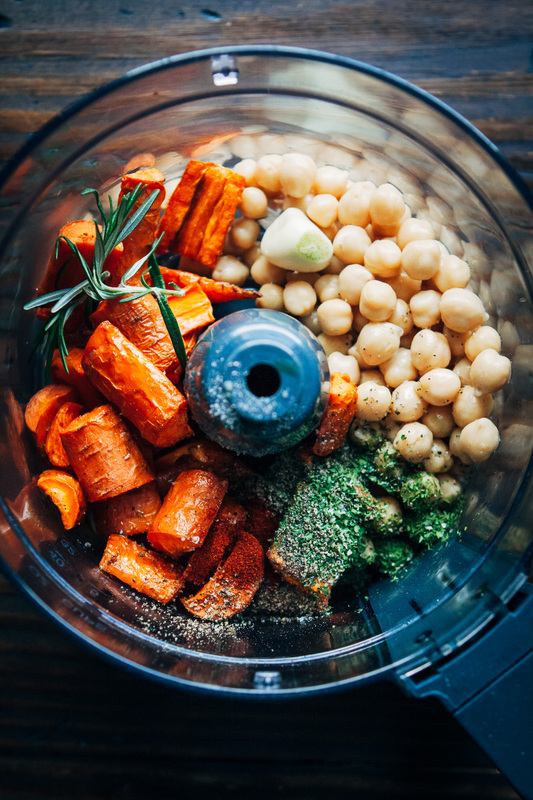 Then, add the carrots, garlic and herbs, and all other ingredients into a food processor, and process on high until the hummus reaches your desired consistency. Taste, and adjust seasonings if necessary. Garnish hummus with pomegranate seeds and curly parsley. Just to avoid any confusion - I took a photo with the garlic whole in the food processor, but it will be minced and sautéed in the recipe! I’d love to make this hummus for Thanksgiving. How many people do you think this dip will serve? I’m going to a dinner that is going to have 9 or 10 people. Should I double this recipe? Thank you! Gonna do this for christmas. 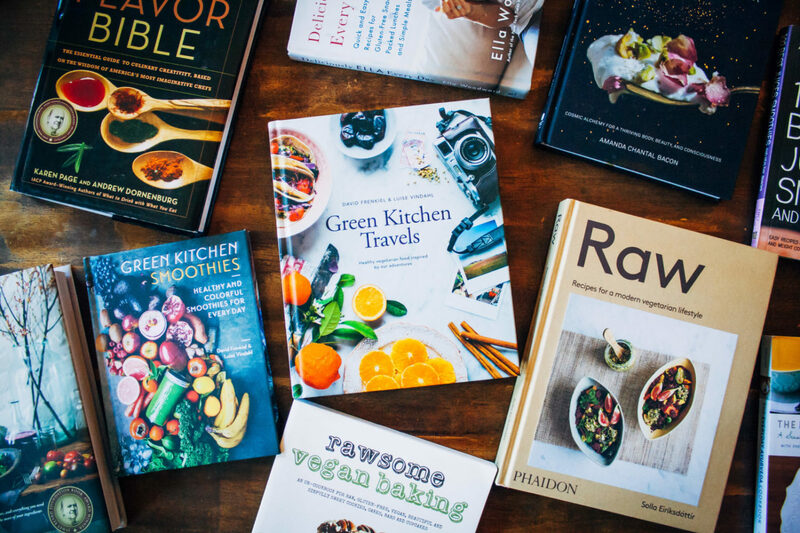 Looks really tasty, plus I never find good vegan options for some of my guests.